Chances are that you’ve at least once brought a bunch of old, worn-out clothes into H&M to recycle them (maybe it was just for the 15% coupon—that’s okay). But the latest line of denim from the brand brings its sustainability efforts full circle. 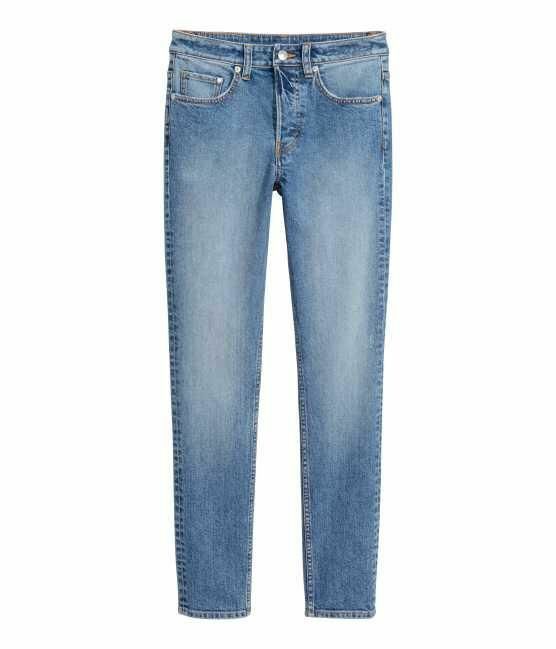 Close the Loop is H&M’s just-released collection of jeans—skinny, wide-legged, and a vintage style that’s perfectly distressed—comprised, at least in part, from the very clothing that was once turned in at the registers. “The collection is made from post-consumer recycled materials that we collect in all H&M stores worldwide,” the press release shares, stating that “it’s way better than customers just throwing their unwanted garments into landfills.” We have to agree. Of course, you could never tell there was anything so fundamentally different about the six-piece collection just by looking at it. But just think: The backstory for your new go-to jeans will be much more interesting than the average pair. Scroll down to shop a few of the pieces in H&M’s newest Close the Loop collection. Up next, take a look at what Bella Hadid bought during her major sneaker shopping spree.